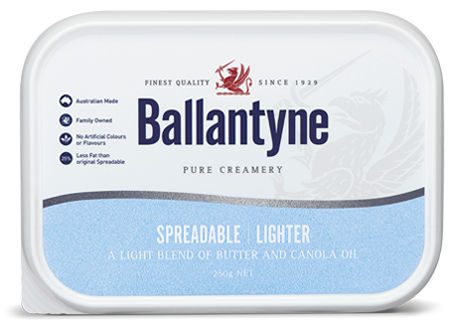 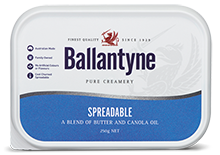 Because we believe health and taste shouldn’t be mutually exclusive, we developed Ballantyne Spreadable Lighter; the same delicious taste & texture as Ballantyne Spreadable with 25% less fat. 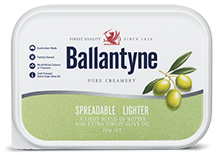 Tested and approved by the fussiest of palettes; its creamy consistency is matched with a clean, subtle flavor. 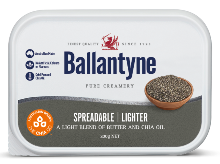 A hint of salt makes it perfect for lunchtime sandwiches and morning soldiers.